medical massage, diet therapy and exercise." Acupuncture and Chinese Herbal Medicine are part of a medical system that is over 5,000 years old and is based on the understanding that the body has the capacity to heal itself. 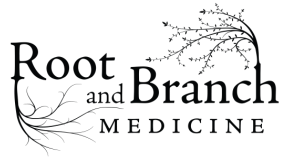 At Root and Branch Medicine, we help our patients discover their own healing potential and find practical ways to achieve their health goals within their own unique life experiences.